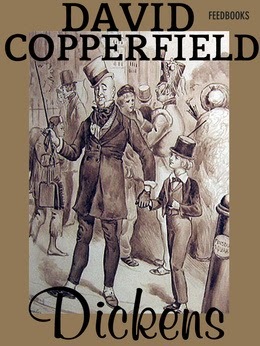 I started David Copperfield by Dickens early in December, 2014. I don't know what I was thinking!!! I only have several other books on the go right now and that one is four inches thick and 1100 pages long! But, I have decided it may be a blessing in disguise as it may be my fall back for those days when I need a quick "finish" ... finish a chapter that is. ;) No, E.H., that is not cheating - it is using my various resources to come up with a no-stress, goal-meeting, would-love-to-stick-my-nose-in-a-book-everyday kind of option! Today, I finished chapter 6 where a young David Copperfield welcomes the boys back to the school he was sent to over the winter break. Even though they stole all his money, he felt it went better than he had expected as none of the boys beat him up! Love a character who looks on the bright side .... or is he overly naive? Vickie Dyck: Nothing like a good book -- haven't read that one yet. Marilee Fehr: I will go with looking on the positive side of things - this is a lesson that I can use a refresher in right now ... I'll make it my goal for the rest of the day!